You've heard, by now, there are many classic quality improvement tools which (for various reasons) are under-utilized in healthcare. 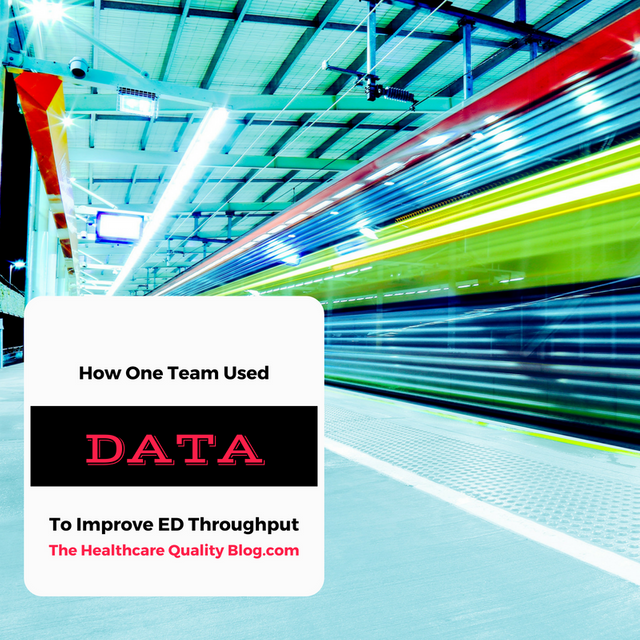 Here's a story of how one team improved ED throughput with some well-worn classic tools. Can you spot the tools in this story, including a version of the classic "waste walk" (following an input through the value stream) and an allusion to CpK / sigma values? The observer watched each step in the system after the team mapped out exactly what the system was. What we discovered was that a twenty-minute computer delay was built into the process for almost every patient that came through the ED. ...software took twenty minutes to tell the patient-transport staff that it was time to wheel the patient upstairs. That was a completely unexpected answer. We had been...trying to figure out why the admission process took too long. We were saying things like, “This particular doctor didn’t make a decision in a timely fashion.” It took using statistical tools and a walk through the process to understand one hidden fact that cost almost every patient 20 minutes of waiting time. It’s amazing how much improvement you can see when you let the data (not just your gut) guide process improvement.